Mauna Loa, a desolate and windswept volcanic island located deep within the Pacific ocean. This is the mountain stronghold housing the last remnants of the climate science cabal. Beneath it's smoking slopes exists a vast labyrinth of laboratories, housing monolithic computers upon which an army of climate scientists endlessly toil, committing various arcane and blasphemous adjustments to raw data in a desperate bid to topple the global economy. For over a decade the island has been relatively quiet, smoking ever so slightly. This era of peace was known as the Pause. 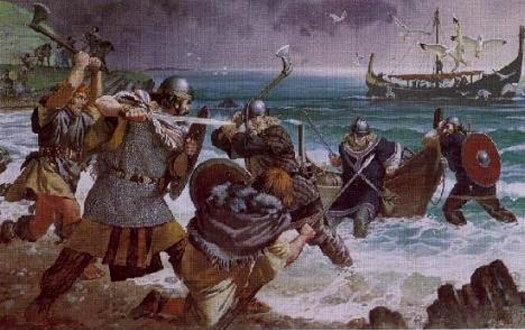 But now rumor grows of a shadow in the Pacific. I fear a great El Nino may have stirred the island a little too much and woken up those who dwell within, driving them to fiddle data as never before. I came to this realization last Thursday around lunchtime, as I was checking over some dusty old excel spreadsheets. 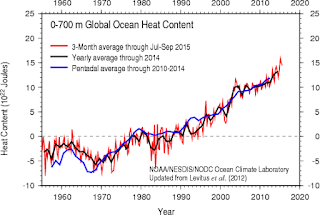 I was horrified to find various climate records had turned alarming. 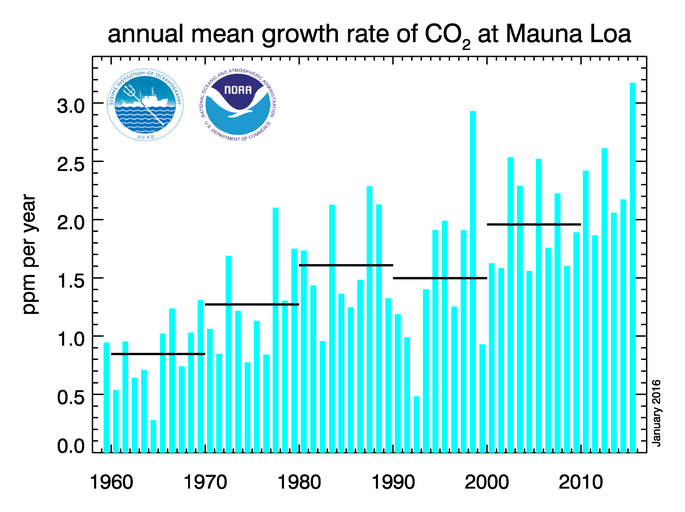 The above chart purports to show the annual increase of CO2 as measured at Mauna Loa itself. 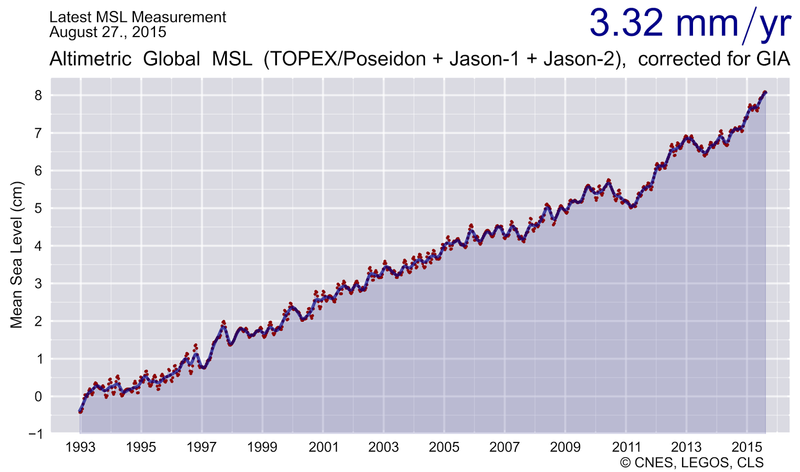 Whether carbon dioxide even exists at all is of course debatable, atoms being nothing more than a theory, but for the data to display 2015 as having the largest annual CO2 increase on record is unacceptably alarmist. 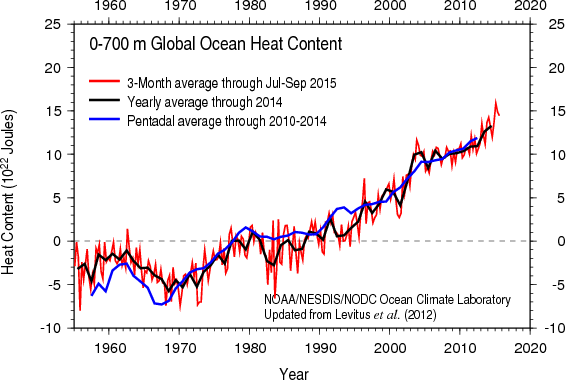 Above: Records of sea level and ocean heat also show recent highs. 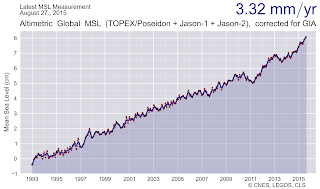 An observer untrained in the ways of blog science might even make the mistake of thinking the pause never happened. 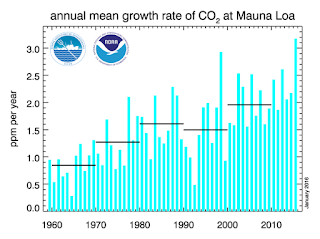 I have theorized that if we could somehow bring the 1988 testimony of James Hansen to the volcanic peak of Mauna Loa and drop it into the fiery bowels of the infernal mountain itself, we would finally end the reign of Al Gore for good. 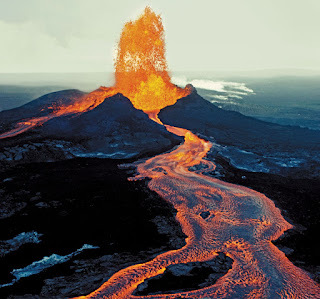 It would be an arduous and perilous quest for some brave blog scientists, for Mauna Loa is said to be circled by predator drones controlled by the all seeing eye of Obama. Even more dangerous however is the corrupting nature of logic and facts. The person we send would have to carefully chosen, someone who possesses an inate immunity to reason. I would volunteer to do this myself, but I have been drinking a lot of wine lately and plan to drink quite a bit more.